The size is L 42-44. 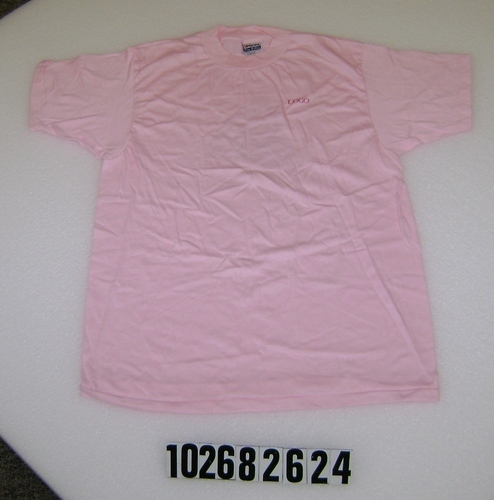 On the front it reads "LOGO". 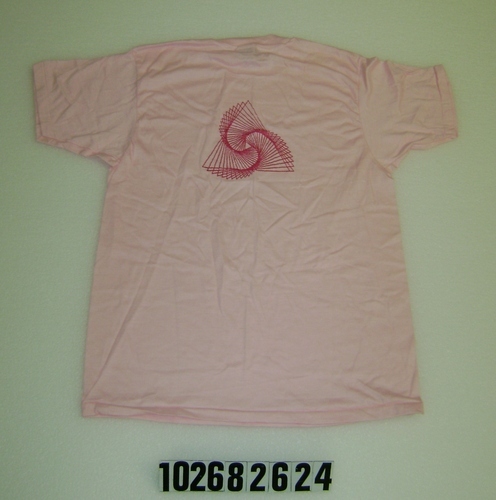 There is a complex geometric figure on the back.